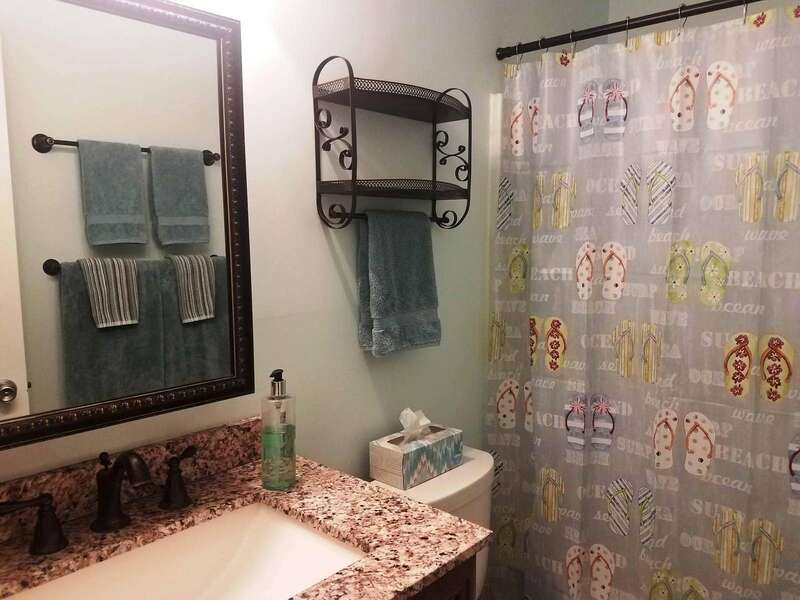 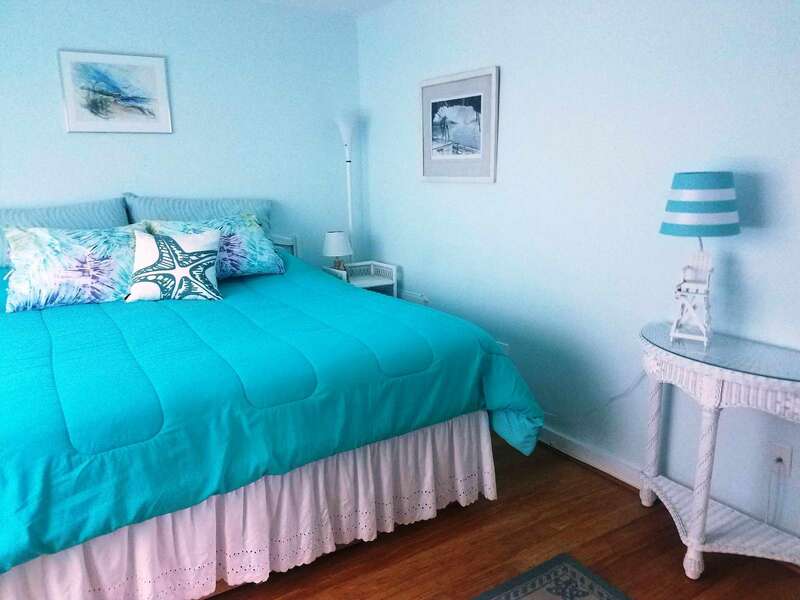 Bright, roomy, and light filled condo. 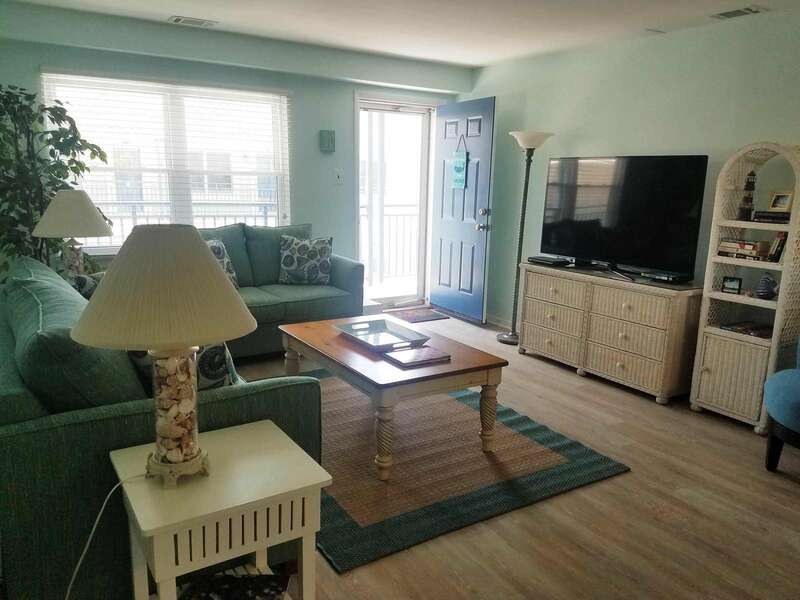 Relax after a busy day by watching digital cable TV or movies on the large flatscreen TV’s with DVD players in both the living room and bedroom. 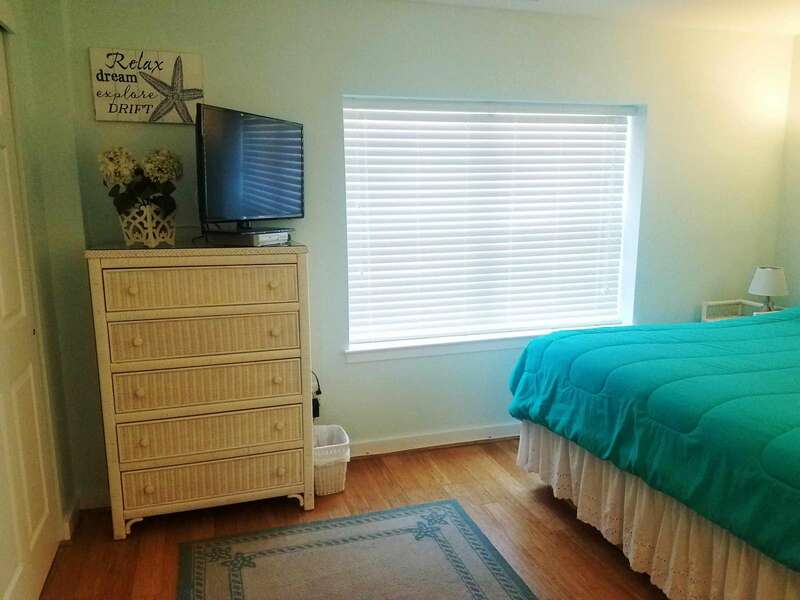 Keep all your family’s devices ready to go with USB chargers in the living room, kitchen and bedroom. 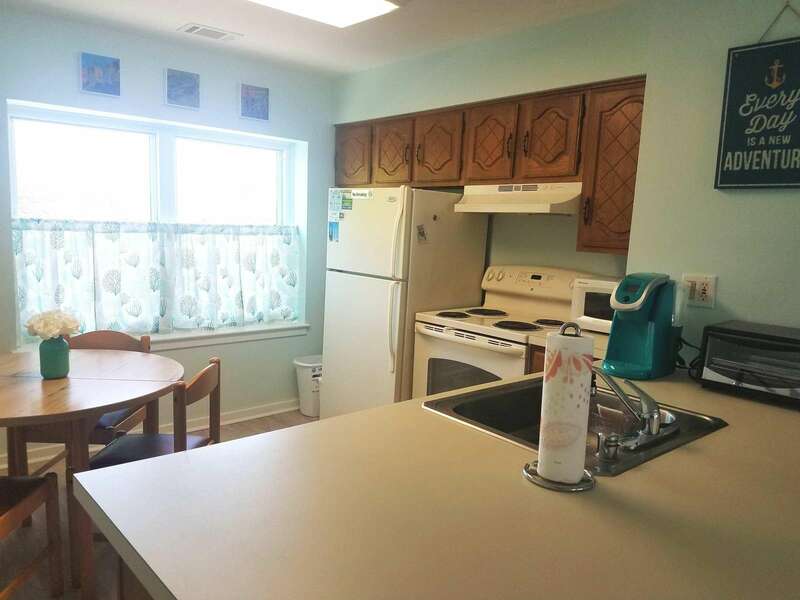 Prepare a full meal or just a snack in the fully equipped eat-in kitchen, which includes both regular and Keurig K250 Plus coffee makers. 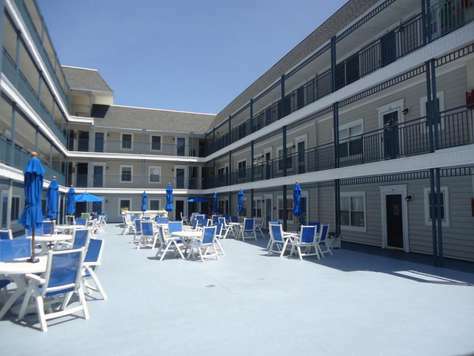 Enjoy a meal on the deck level using the tray and set of melamine dishes. 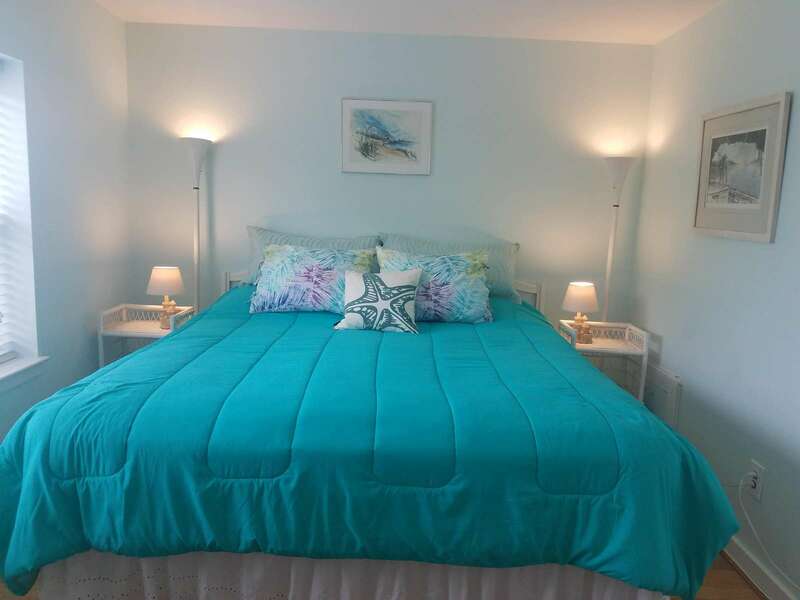 Condo sleeps 4 with a King size bed and Queen size pull-out sofa. 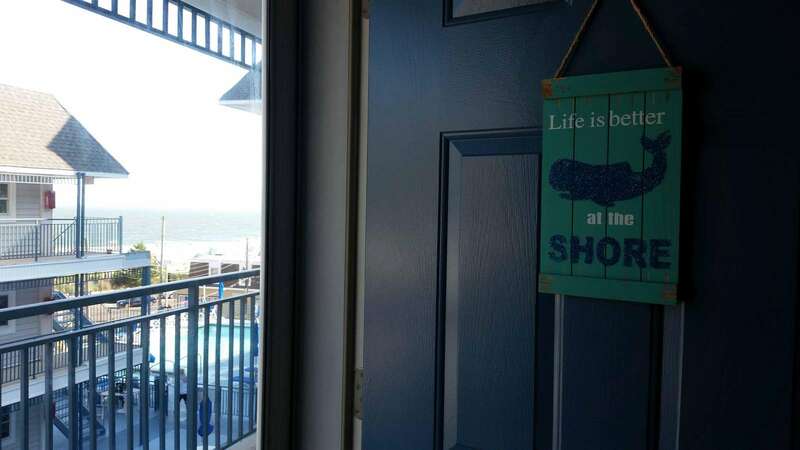 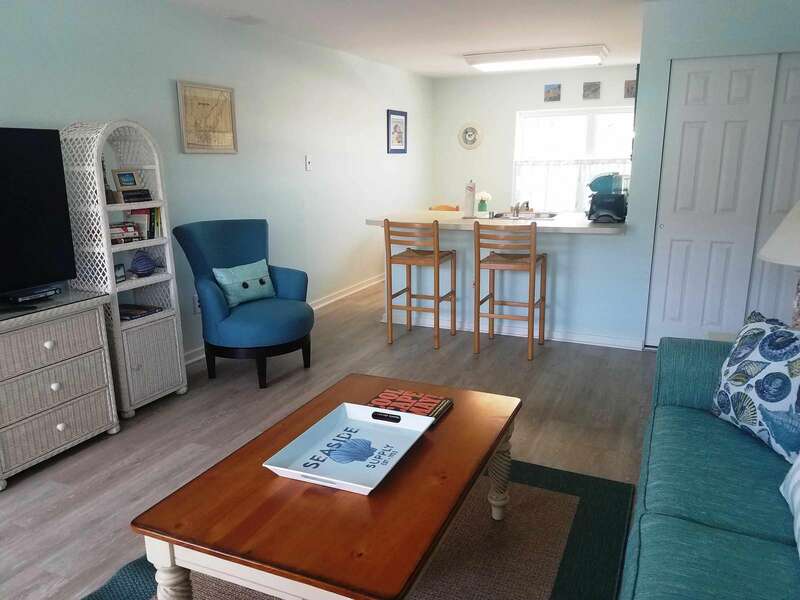 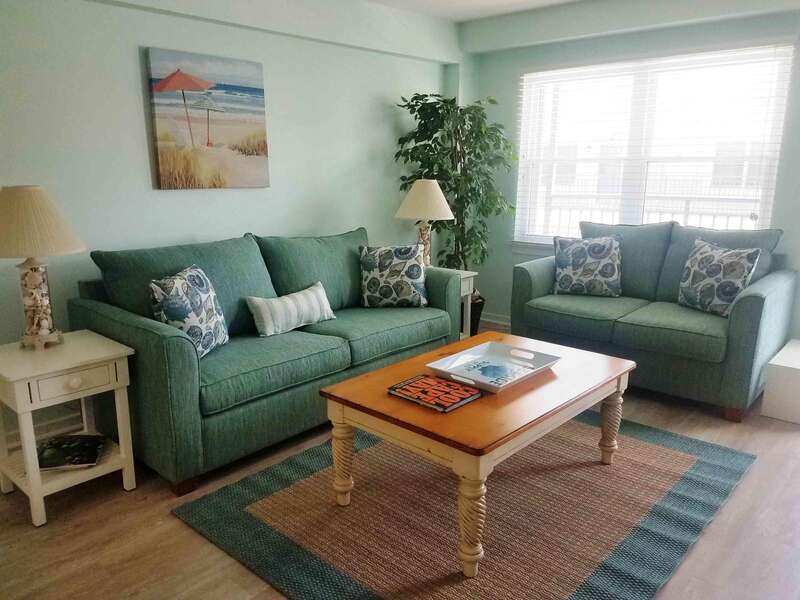 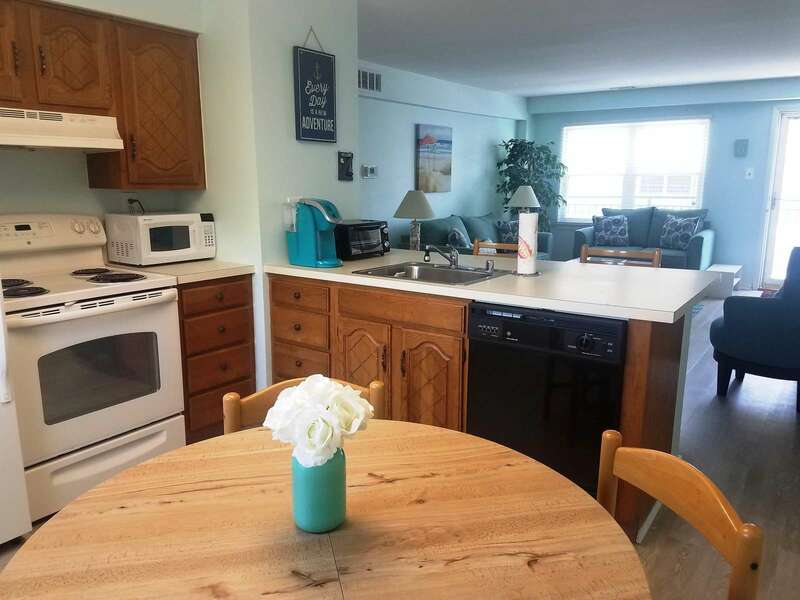 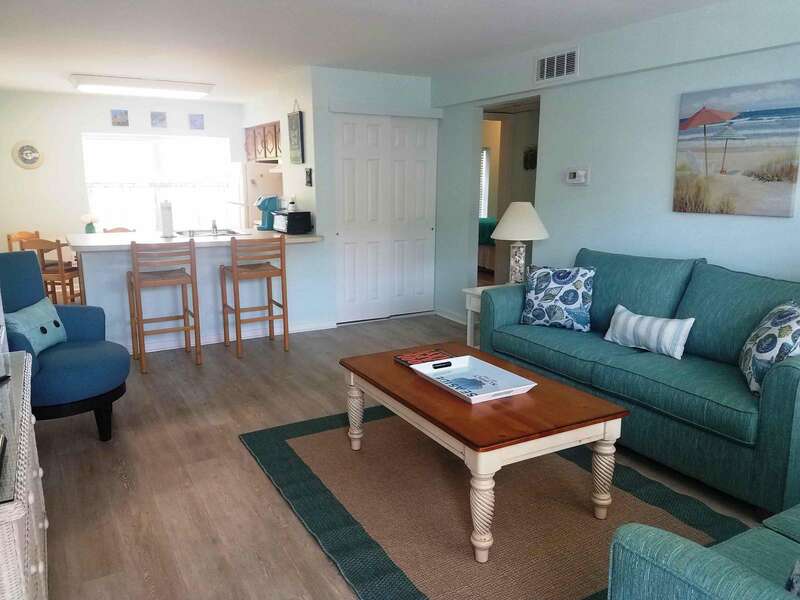 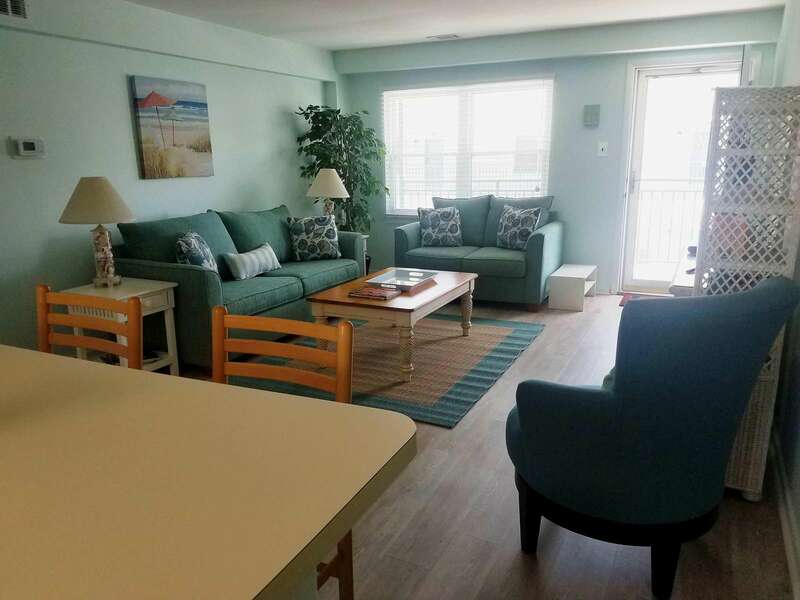 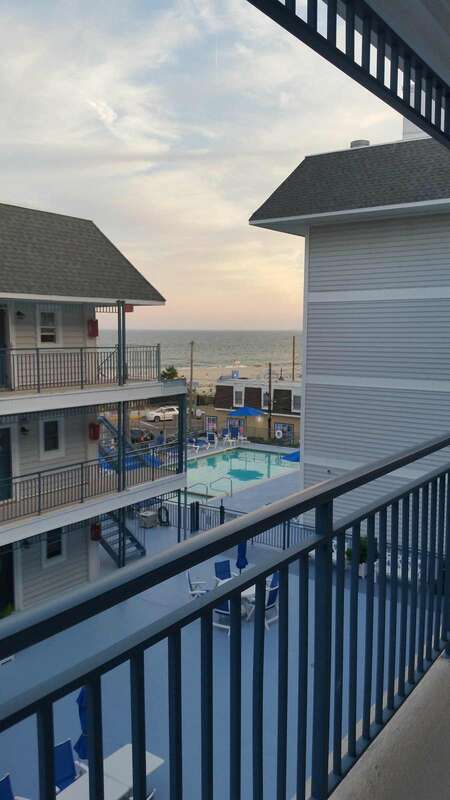 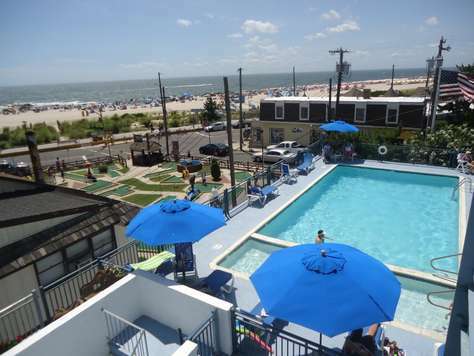 Enjoy all of the amenities that The Tides has to offer, including ideal location in historic Cape May, free Wi-Fi, lobby with on site management, elevator, covered parking for one car, swimming pool and deck with tables/chairs.